Continuous learning, experimenting, and applying new concepts is vital to keep up with our local contexts and culture. Therefore, learning communities will be offered to help us continue to become or stay relevant, competent, and compelling in order to fulfill our mission of making new disciples of Jesus Christ for the transformation of the world. Get fired up to learn! Check back often for the latest offerings and opportunities. Get fired up to learn! Laity, clergy and staff are ALL called to ministry. Our Wesleyan roots come from a lay-driven movement. This learning opportunity explores a variety of areas in the life of the church where laity can IMPACT! the ministry in powerful ways. 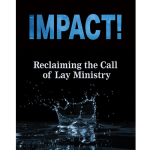 Explore areas such as culture, missions, worship, leadership, and relationships for laity IMPACT! This learning community is eight sessions and can be started at anytime at your local church. It is intended for both clergy and laity. This learning opportunity will help your church shift from a maintenance mode to a missional focus. With facilitator guides, handouts, and videos, our church team can access these materials and work at your own pace in your local setting. Guided questions help the team have those much-needed critical conversations we do not normally make time to have. The team will dive deep into the top ten areas most church struggle with to have a missional focus to reach new people for Jesus Christ. This learning community is eight sessions and intended for a combined church team of the pastor and laity. There are three kinds of small churches: not yet big, stable, and smaller. 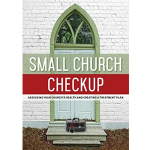 This learning source will walk you through an assessment to help you determine what type of small church you are. Then based on your own determination, there are treatment plan options to choose from in order take your small church to the next level. This learning community is created from the collective desires and wisdom of the group gathered. 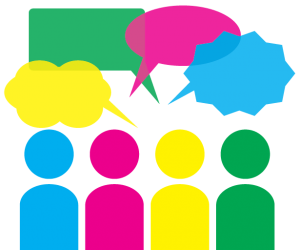 A guided format will be provided, but the topics will be chosen by the participants based on the felt-needs and desires of the group. There will be a group expectation of learning, experimenting, applying, reporting, and adjusting within the topics explored. This learning group can be all laity, all clergy, or a hybrid depending on desires and needs of the group.